The Truman one is kinda cute and the De Gaulle one looks like it should be in the Dark Crystal. Jean Sulpice, Parisian restaurateur, believes that lobsters and people have similar features. These “portraits” seem to prove the artist’s contention. 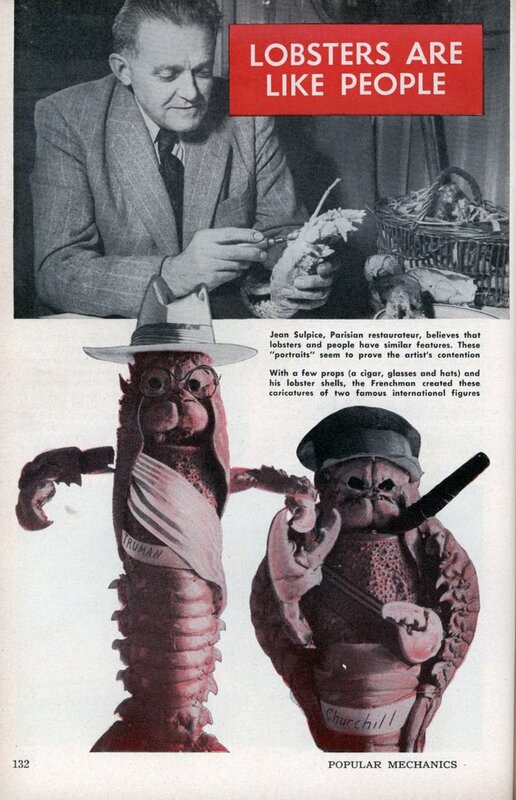 With a few props (a cigar, glasses and hats) and his lobster shells, the Frenchman created these caricatures of two famous international figures. ANYONE WHO HAS seen Paris knows about Place Pigalleâ€”and knows that almost anything can be found there. That is why it is no surprise to learn that in the city of artists, one Pigalle restaurateur is an artist who hangs his work from the ceiling. 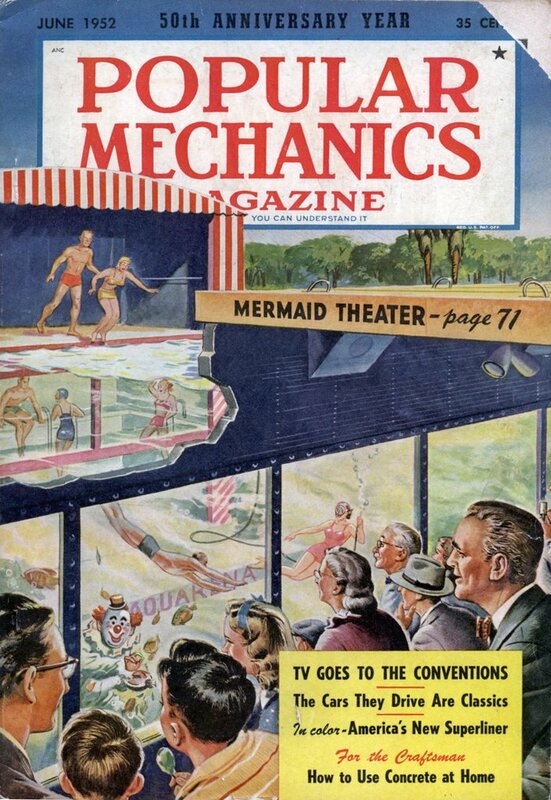 More surprising is his mediumâ€”lobster shells!